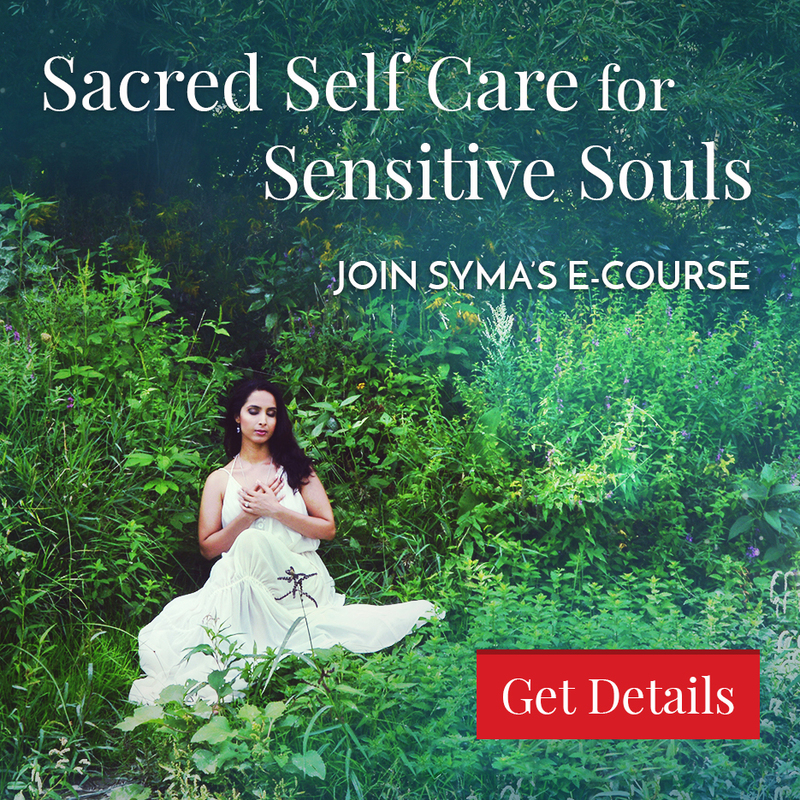 Learn how to unleash your inner Warrior Goddess and live fully from your sacred feminine power. 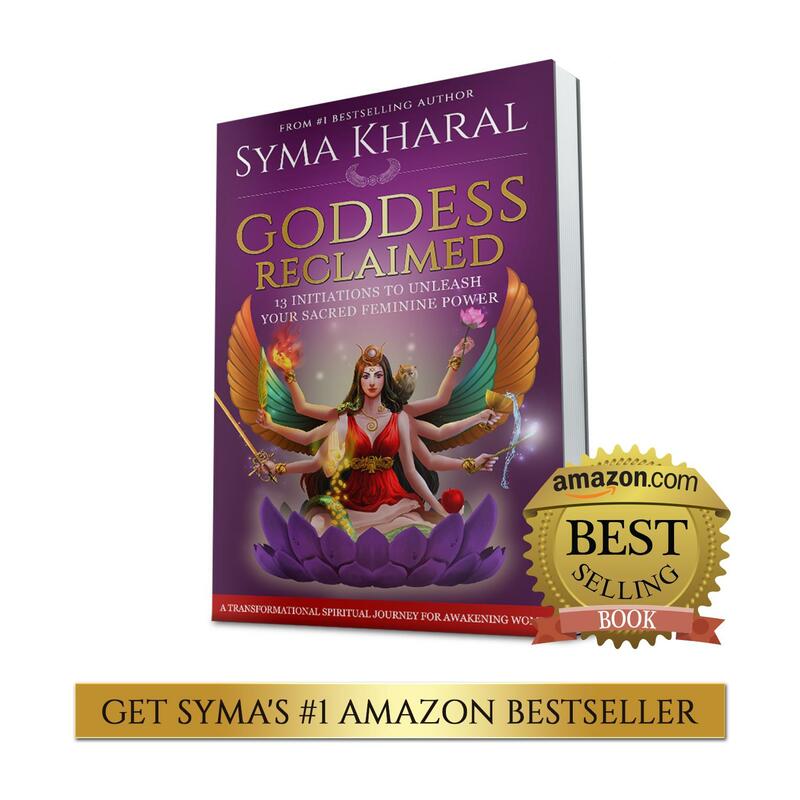 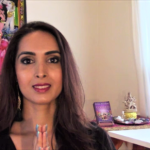 Syma teaches you about five Goddesses (Sekhmet, Pele, Lilith, Kali and Brigit) to help you release blocks to owning your power in different areas of your life by reclaiming your sacred feminine power. 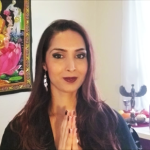 Learn how connecting with these Goddess archetypes can help you release toxic relationships and painful patterns, set boundaries, clear your solar plexus chakra and be true to yourself, so that you may the full, flourishing life you were born for. 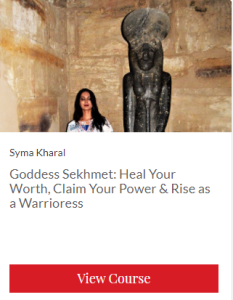 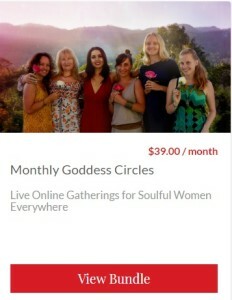 If you are ready to heal your worth, claim your power and rise as a warrioress,get initiated by Sekhmet receive in our next online circle, “Goddess Sekhmet Online Circle”.